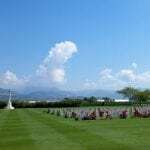 4868252 private albert froggatt 2/5 battalion leicestershire regiment killed 12/9/1943 salerno italy. they went with songs to battle,they were young,straight of limb,true of eye,they were steady and aglow, they were staunch to the end against odds uncounted,they fell with their faces to the foe. they grow not old as we that are left grow old, age shall not weary them nor the years condemn,at the going down of the sun and in the morning.